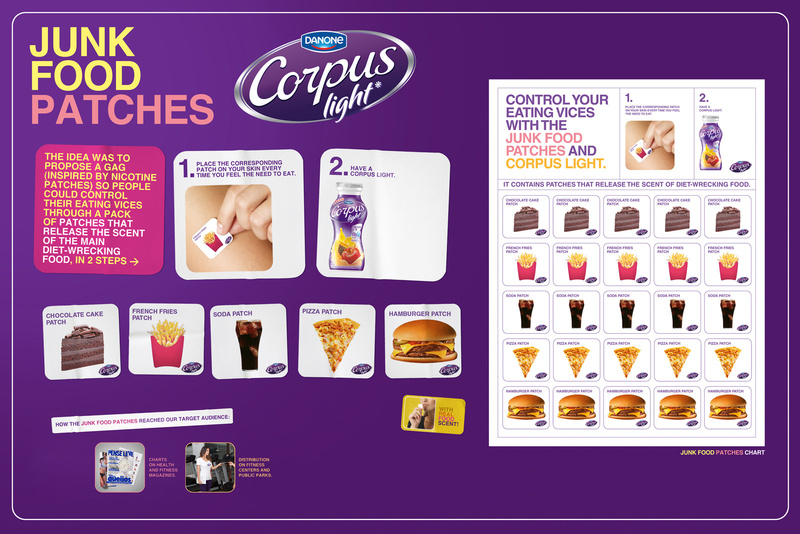 Danone Corpus Light created a spoof ad featuring Junk Food patches to help people stick to their diet. 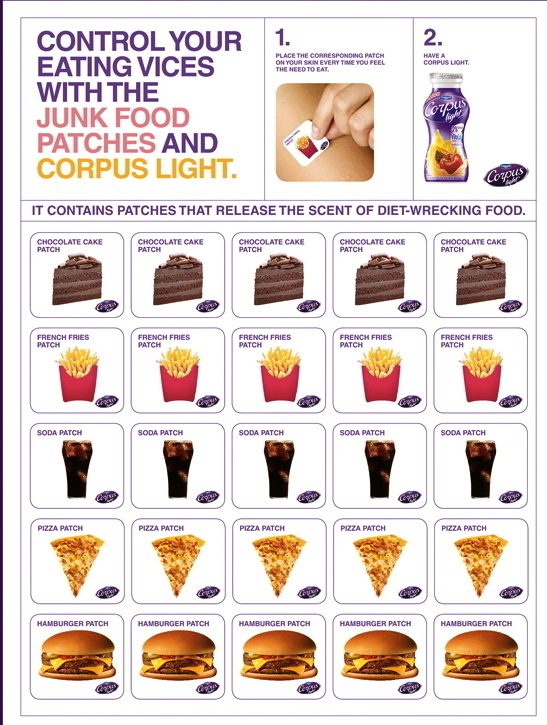 Step 1: Place on Patch. 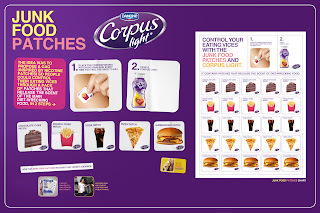 Step 2: drink a Danone Corpus Light. That simple.